How to Install Whatsapp on Tablet Without SIM Card Support (WiFi Only): Whatsapp is one of the most used app in any major mobile platforms like android, iOS, Blackberry, Windows Phone, etc. It has changed the way of messaging in the modern world. Earlier, people used spend bucks of money to message others. But now, with the help of Whatsapp, one can easily send text, videos, audios, images, etc with just a tap on their internet enabled smartphones. However, tablet users without SIM card support cannot enjoy the services of Whatsapp as it needs a working phone number for verification purpose. 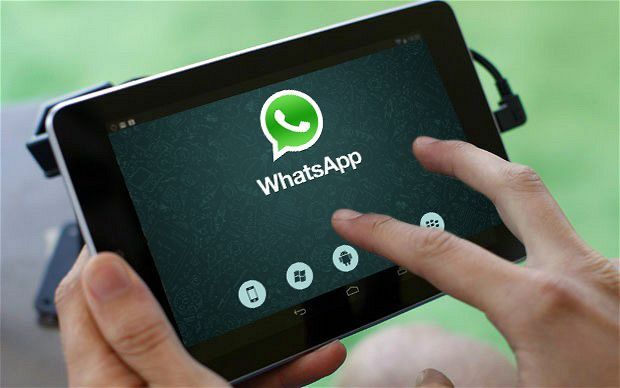 Therefore, Whatsapp has not extended their services to tablet users. But this cannot stop you from using one of the best messenger i.e. Whatsapp. There is a way via which you can Install Whatsapp on Tablet Without SIM Card Support. Yes, you read it right!! you can run whatsapp on tablet devices like Galaxy Tab 3, Galaxy Tab 4, Galaxy Tab Pro, etc. Just follow the below tutorial to Install Whatsapp on Tablet Without SIM Card Support via WiFi. But, at first, make sure you have below things to go on with this tutorial. Also Read: Story Behind Facebook’s Whatsapp Acquisition & Changes After it: Explained. A phone with a SIM card, it doesn’t matter whichever phone it is. You just need it for receiving SMS or a call. Whatsapp installed in your tablet. Follow the below steps to install Whatsapp on tablet without SIM card support. At first, download the latest APK file of Whatsapp from here. Now, save this apk file in your tablet and click on it to install it. If it says, installation from unknown sources is blocked, then allow it from your tablet settings. Wait for the installation procedure to complete. Once it is installed, click on it to complete the verification formalities. 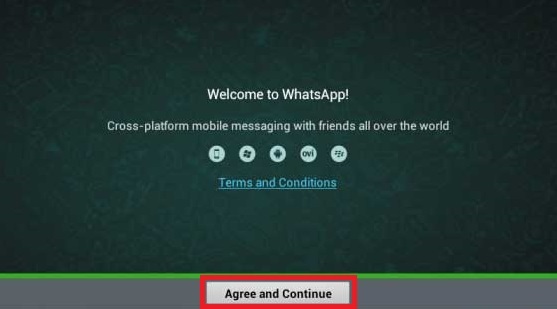 A message instruction will prompt to verify the terms and conditions of Whatsapp. Click the “Agree and continue button“. Now, after clicking this button, a new message will prompt stating “tablets are currently not supported“. Neglect this message and click OK to begin the setup. Also Read: How to Download & Install Kik Messenger for PC Windows 7, 8, XP. On the next screen, you would be asked to fill your country and phone number. Enter your country and the number which is being used in the phone mentioned above (The phone with the SIM card). Press OK.
Now, it will ask you to verify your phone number. Click OK again. It will send a SMS to the number mentioned by you. But, most of the time the SMS verification will fail. Now, verify your number via voice call. Click the “call me” button to receive the verification code. It will send you a 6 digit verification code. 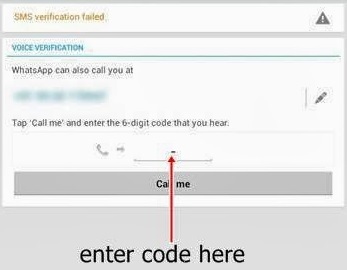 Hear it carefully and enter it to verify your phone number. Now, follow the on-screen instructions and configure your profile. Also Read: Download & install Candy Crush Saga for Nokia X, XL and X+ without root. Previous articleHow to record screen in android 5.0 lollipop | best screen recording tools.